The fruit of this tree was "good for food" and Adam was told that he could "freely eat" of it (Genesis 2:16). However, he was not required to eat its fruit to stay alive! He was created by God to live without dying, with only one restriction—that is, he was not to eat of "the tree of knowledge of good and evil," for that would cause him to die (Genesis 2:17). Later that same day, Eve was created, after Adam had first given names to each basic kind of animal—that is, specifically, only the "beast of the field" and the "fowl of the air" (Genesis 2:19), those that would be most likely to be in close proximity and possible fellowship with humans. He could easily have accomplished this in a few hours. Then Eve was created and was given the same instruction about eating as Adam had received, for she referred to these instructions when the serpent tempted her some time later. Despite God's clear warning, she and Adam both then rebelled against God's word and ate of the tree of knowledge of good and evil, and thus "sin entered into the world" (Romans 5:12). As a result, death also came into the world when God—true to His word—told them that "unto dust shalt thou return" (Genesis 3:19). Furthermore, God's Curse was pronounced on the very "ground" itself, out of which the bodies of both animals and men had been formed (Genesis 3:17; 1:24; 2:7), so that "the whole creation groaneth and travaileth in pain together until now" (Romans 8:22). Thus "by man came death," and "in Adam all die" (I Corinthians 15:21,22). Then God cast Adam (with Eve) out of His beautiful garden, "lest he . . . take also of the tree of life, and eat, and live for ever" (Genesis 3:22). This seems to create a problem, possibly even an apparent contradiction in God's words. God cannot contradict Himself, of course, so this is our problem, not His. Many so-called "progressive" creationists, as well as theistic evolutionists, argue that Adam and Eve must already have been eating regularly of the Tree of Life in order to stay alive, even before they sinned. Otherwise they would have died physically even if they had never sinned, or so the argument goes. Then they argue that the death pronouncement by God on their sin was a "spiritual" death, not physical. This idea, of course, contradicts the clear statement of God that they would die physically, as well as spiritually, with their bodies returning to the dust. Furthermore, it makes a travesty of Christ's death on the cross for our sins! Why would Christ have to die physically—and such a horrible physical death at that!—in order to atone for man's "spiritual" death? 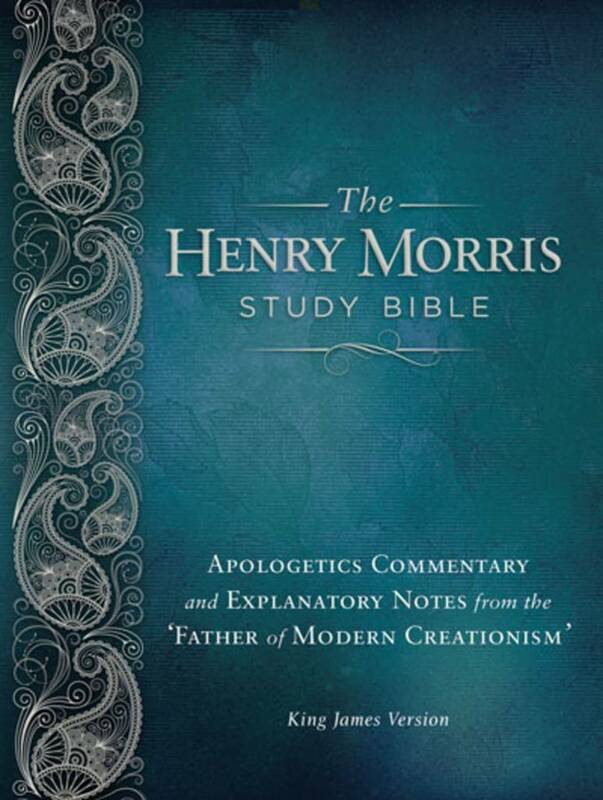 But our accommodationist brethren are anxious to preserve the "old-earth" dogma of the evolutionists at all costs and so are willing to adjust Genesis and the gospel in whatever ways they need to do so in order to avoid conflict with modern scientism. They insist that we must accept the evolutionary ages of geology with their billions of fossils and their billion-year spectacle of suffering and death before sin entered the world, in order to be acceptable to the intellectual community. Nevertheless, the Genesis record—supported as literal history throughout all the rest of Scripture—is explicitly clear in teaching that physical suffering and death were introduced into the world only when Adam sinned. Thus, even if Adam and Eve had continued to eat the delicious fruit of the Tree of Life after they had sinned, they would eventually have died anyway because God had said so! However, this health-promoting fruit might have enabled them to live an inordinately long time before dying. Even as it was, Adam lived 930 years (Genesis 5:5). The solution to our problem may well be that the Hebrew word ola (translated "for ever" in Genesis 3:22) could legitimately be translated "a very long time." For example, in Isaiah 42:14 God says: "I have long time [olam] holden my peace." It is obvious that "for ever" is not warranted in this context, for God will not hold His peace forever! Similarly, note Deuteronomy 33:15: ". . . precious things of the lasting [olam] hills." The hills may last a long time, but not forever. The Hebrew olam is translated "old time" in Joshua 24:2, and is applied to the "ancient landmark" in Proverbs 22:28 and the "ancient people" in Isaiah 44:7. There are a number of other such examples. The word olam certainly does not have to mean "forever" unless the context so indicates. Therefore, it would be legitimate to read Genesis 3:22 as follows: ". . . lest he . . . take also of the tree of life and eat and live an excessively long time." There is thus no necessary indication in this verse that death was in the world before Adam brought sin into the world. How long the Garden of Eden survived in the primeval world after the expulsion of Adam and Eve has not been revealed. 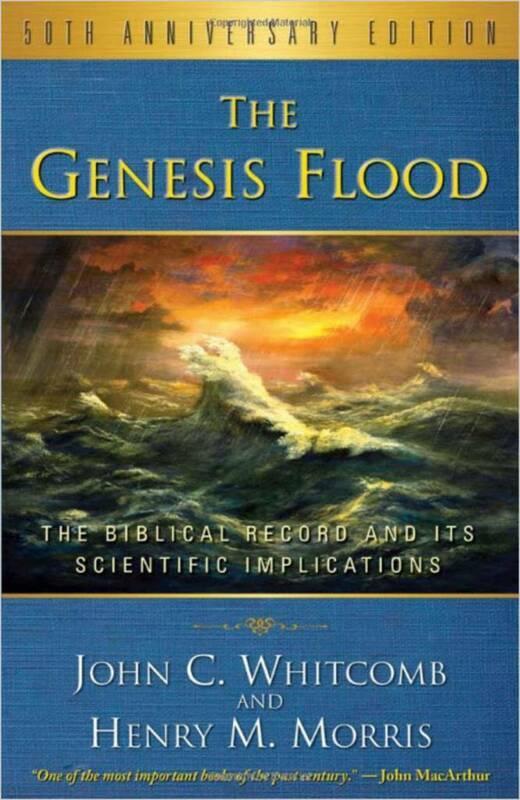 If not destroyed earlier, it was certainly carried away by the devastating waters of the great flood, when "the world that then was, being overflowed with water, perished" (II Peter 3:6). But the marvelous Tree of Life will be planted once again "in the midst of the paradise of God" in the new earth which God will create some day and "they that do his commandments" will then "have right to the Tree of Life" (Revelation 2:7; 22:14). And note its remarkable character! "On either side of the river, was there the tree of life, which bare twelve manner of fruits, and yielded her fruit every month: and the leaves of the tree were for the healing of the nations" (Revelation 22:2). Not just one Tree of Life as in the original Garden of Eden, but many such trees will be planted there with their beautiful and nutritious fruits, freely available to all who "do His commandments"—that is, to everyone in the holy city. The fruit will be different every month,** but always "pleasant to the sight, and good for food." Furthermore, its leaves will also be of great value, since they are for "the healing of the nations." This cannot mean that, without these healing leaves the people in these "nations of them which are saved" (Revelation 21:24) would otherwise become sick and die because God has assured us that in the holy city, "there shall be no more death, neither sorrow, nor crying, neither shall there be any more pain: for the former things are passed away" (Revelation 21:4). The leaves will not be needed to heal sickness any more than the fruit of that original Tree of Life in Eden was needed to prevent death. It is significant that the Greek word translated "healing" in this verse (therapeia) is translated "household" in Matthew 24:45 and Luke 12:42, referring to the staff of servants employed in keeping the affairs of a great house running efficiently. It is the source of our English word "therapy." Thus, the leaves of the tree will be for the "therapy," or the effective services, of the nations in the new earth. As the fruits of the tree will surely contain many nutrients for happy vigorous service by Christ's servants in the ages to come (Revelation 22:3), so its leaves will contain a complex of chemical substances useful in the occupations and general economy of those ages. It is pointless to speculate as to the exact nature of the Tree of Life, for God has not told us, and there is no tree like it in the present world. The same is true with reference to the Tree of Knowledge of Good and Evil. God is well able to create any kind of tree He wishes, and we do well to leave it at that! Because of the marvelous nature of the Tree of Life, however, the writer(s) of Proverbs used it (under divine inspiration of course) as a symbol of four wonderful truths. First, the true wisdom "is a tree of life to them that lay hold upon her" (Proverbs 3:18). That true wisdom can be none other than Christ (I Corinthians 1:30, Colossians 2:3). Second, "the fruit of the righteous is a tree of life" (Proverbs 11:30). Indeed, "the fruit of the Spirit is in all goodness and righteousness and truth" (Ephesians 5:9). A life such as that will be like a tree of life to all who encounter it. Third, "when the desire cometh, it is a tree of life" (Proverbs 13:12). That is, fulfilled hope, like true wisdom and righteousness is so vitalizing as to be a source of renewed vigorous life. Fourth, "a wholesome tongue is a tree of life" (Proverbs 15:4). Therefore, "let your speech be alway with grace, seasoned with salt, that ye may know how ye ought to answer every man" (Colossians 4:6). We can eagerly, yet patiently and fruitfully, look forward to enjoying the delicious, nourishing fruit of the Tree of Life in the holy city some day. In the meantime, we can pray that God will help us to be like little, life-giving trees ourselves through growing in true wisdom, living righteously, offering hope to the lost in our midst, and using our God-given abilities of communication graciously and meaningfully to all those we meet. ** Note the incidental reference to "months." Time had a beginning when God created it (Genesis 1:1), but it will have no end. The words "time no longer" in Revelation 10:6 are in the sense of "delay no longer." 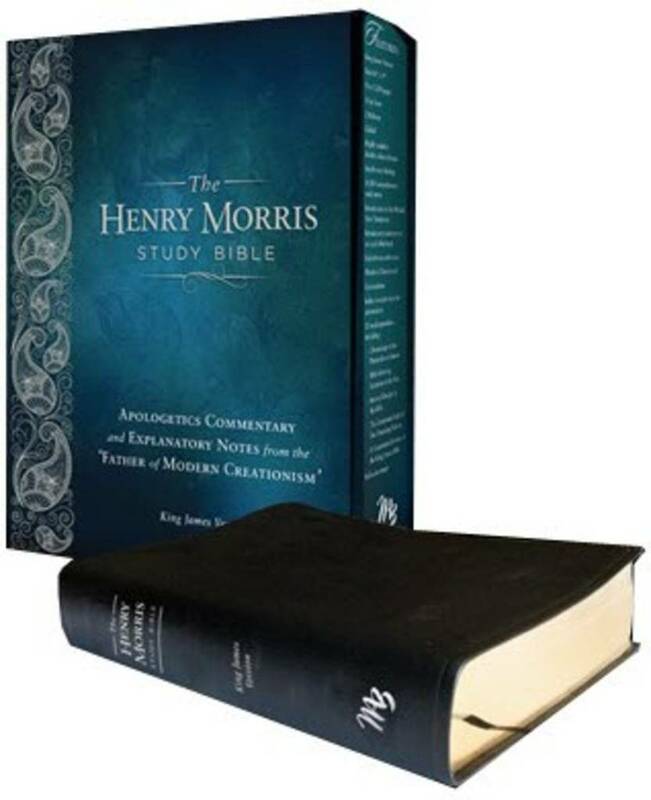 Cite this article: Henry M. Morris, Ph.D. 1998. The Tree Of Life. Acts & Facts. 27 (10).